This week I got one pint of organic blackberries in my CSA. But it was not enough to make a blackberry pie, so I made a compote to put over ice cream! If you’re not a fan of blackberries, you could use raspberries, blueberries or strawberries. 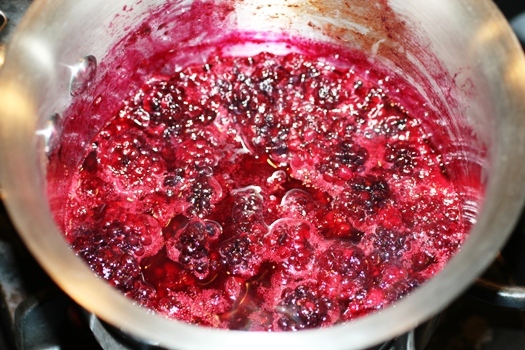 Put blackberries and turbinado/sugar in a small saucepan on medium heat. 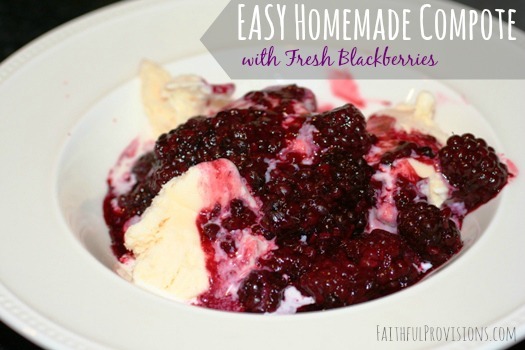 Stir and gently mash blackberries to release the juices. Heat for about 5 minutes on medium to low. Serve over ice cream, pancakes, waffles, cheesecake – you name it!